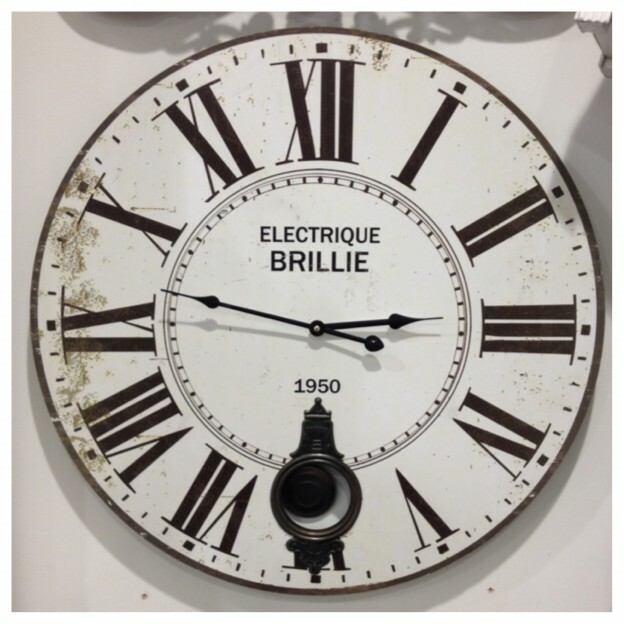 One of our customer favourites is back in stock, the Electrique Brille pendulum wall clock is now available in the Telford Shopping Centre store. One of our most popular styles to date that we’ve carried and now available in two colours, distressed white or gold and cream. This entry was posted in Shabby Chic Clocks, Vintage Clocks, Wall Clocks and tagged Pendulum Clocks, Shabby Chic, Wall Clocks on October 11, 2013 by Mike Haines.